Christie Heights in Breckenridge CO Real Estate is a single family home subdivision located on Peak Eight. 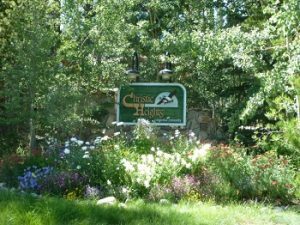 Located off of Ski Hill Road and Windwood Circle, Christie Heights is near the Breckenridge Nordic Center where you can nordic ski or snowshoe through the pristine Cucumber Gulch. There are 37 lots in Christie Heights and all but one have been built on. The 36 properties in Christie Heights were built between 1986-2007. The homes have anywhere from 2-7 bedrooms and sit on 0.33-0.74 acres. When looking for luxury homes for sale in Breckenridge CO Real Estate, Christie Heights is an area to consider. Finding ski in ski out homes in Breckenridge Colorado is very difficult. If you open your search for a home in Breckenridge to ones that are near the base of the mountain or a few bus stops away, Christie Heights will fit into this category. Homes in Christie Heights are a few minutes from the base of the Breckenridge Ski Area and a short drive to Main Street Breckenridge. When considering purchasing a luxury home in Breckenridge Real Estate, take a look at the homes for sale in Christie Heights. To arrange a private tour of luxury homes for sale in Breckenridge, let Justin and Krystal Knott guide you through the ins and outs of purchasing a property in the mountains.